LAI offers opportunities to grow in a fast-paced, high-tech manufacturing environment that supports Associate well-being, promotes continuous improvement, and encourages career development. Reads production sheet and/or work instructions to determine required components, fixtures and process standards for any given work order. Verifies that all work orders are correct and complete. CNC machine setup including work offset and tool offsets per work instructions. Installs component into holding fixture of abrasive water jet and presses console buttons to activate system to perform cutting or drilling operation. Observes process to ensure immediate detection of any fault condition such as orifice failure or garnet clog. Collects data in-process to support statistical process analysis/control and to identify and react to trends in that data. Ability to inspect work using calipers, gage pins and other standard inspection equipment. Removes finished component from holding fixture and examines component for defects and completeness of operation. Prepares job notes identifying any potential improvements or necessary modifications to work instruction. Help to keep machines in proper working condition by doing preventive maintenance. Ability to work in a team environment to meet production goals. Work with Quality and Engineering groups to improve processes and prevent quality issues. · High school diploma or general education degree (GED); or six to twelve months related experience, and/or training; or equivalent combination of education and experience. · CNC machine experience preferred. · Must be a US citizen. · Ability to read and comprehend simple instructions, short correspondence, and memos. Ability to write simple correspondence. Ability to effectively present information in one-on-one and small group situations to customers, clients, and other Associates of the organization. · Ability to add, subtract, multiply, and divide in all units of measure, using whole numbers, common fractions, and decimals. Ability to compute rate, ratio, and percent and to draw and interpret bar graphs. · Ability to apply common sense understanding to carry out instructions furnished in written, oral, or diagram form. Ability to deal with problems involving several concrete variables in standardized situations. Calipers, roughing end mill, finished end mill, drills and tool inserts. This work requires physical exertion consisting of long periods (8 hours) of standing and recurring bending, stooping, stretching and reaching overhead is required. Routine lifting and pushing or pulling of moderately heavy (up to 50lbs) equipment is also required. Extensive use and dexterity required in the hands and fingers to manipulate machine controls and to tighten, grasp, turn, twist, pull, push and pinch knobs, screws and other small fixture or assembly details. This work involves exposure to moving mechanical parts, machine tools, machine oils, lubricates and synthetic coolants. Exposure to noise levels is moderate (85dB) on a daily time-weighted average. Associates are required to wear hearing protection, safety glasses, gloves and safety shoes. Other special safety precautions and/or Personal Protective Equipment (PPE) and/or tools may be required to perform work on, or around, selected machine tools and mechanical devices. External and internal applicants, as well as position incumbents who become disabled as defined under the Americans With Disabilities Act, must be able to perform the essential job functions (as listed) either unaided or with the assistance of a reasonable accommodation to be determined by management on a case by case basis. Responsible for verifying, coordinating and documenting manufacturing processes. Programs multi-axis computer numerically controlled (CNC) machine tools. Reviews and updates process documentation of on-going manufacturing processes to ensure efficiency and clarity of instructions in support of manufacturing objectives, schedules and budgets. Provides technical engineering support of ongoing manufacturing processes. · Actively demonstrates compliance to ISO 9001 and AS 9100, Quality System requirements in day to day operations. · Manufacturing equipment, tools, and fixtures. · Manufacturing flow and processes. · Daily Engineering support of manufacturing operations on the production floor. · Designing and implementing process and equipment improvements. · Providing a support role in design and implementation of tools, fixtures, methods, etc aimed at improving manufacturing efficiencies, as necessary. · Directing interface with customers regarding problems and opportunities. · Directing interface with suppliers of materials, equipment, and services. · Contributing to cost estimating of existing jobs to determine opportunities for cost improvement. · Contributing to cost estimates to be used in the pursuit of new business. · Working with equipment manufacturers and maintenance to achieve optimum performance and lifetime of manufacturing equipment. · Developing and implement data collection and process controls to be used on the manufacturing floor. · Contributing to the creation of process documentation and work instructions to be used in manufacturing. · Designing and conducting experiments for problem-solving, new process development, and new product creation. · BS degree in Mechanical, Industrial, or Manufacturing Engineering preferred. · Six Sigma Black Belt certification, desirable. · At least five years experience in a precision machining environment required. · Use of Six Sigma Green/Black Belt statistical methods such as DOE, SPC, and FMEA. · CNC programming with G and M codes. · G.D. & T./ Quality systems. · Use of CNC motion systems. · Use of waterjet, laser and other cutting and fabrication equipment. 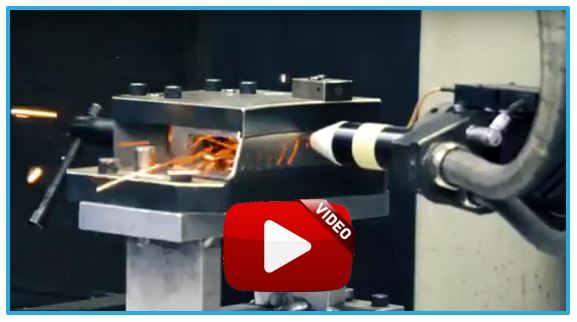 · Experience with non-traditional machining processes including LASER and EDM is highly desirable. · Experience with fabrication processes including welding and brazing is highly desirable. Computers, calculator, copier, fax machine, phone and other general office equipment. While performing the duties of this job, the Associate is frequently required to stand; walk; sit; use hands to finger, handle, or feel; reach with hands and arms and talk, see and hear. The Associate must occasional lift/move up to 15 pounds, bend, stoop or crouch. Work is primarily performed in office setting. Responsible for an assigned product manufacturing cell. Involved in equipment programming adjustments, equipment troubleshooting and repair, as well as assisting production operators and Engineering in resolving production problems and assisting Engineering in process improvements. • Recommends machining speeds, feeds, cutting tools and fixture requirements for production processes. • Trains new and incumbent Associates. • Provides technical assistance to new and incumbent Associates. • Runs production machines and processes and programs as needed. • Recommends changes to machining processes and programs as needed. • Supports safety policies and procedures. • Supports company policies and procedures. • Analyze blueprints and / or models to determine tools, fixtures and equipment needed for manufacturing, and sequence of operations. • Prepare reports outlining project plans, status, and issues relating to the projects, collects data. • Ability to run manual CNC equipment. • Assist in the application of statistical methods to estimate future manufacturing capabilities and requirements. · Associate degree in Machine Tool Technology or equivalent. · Must be able to multi-task and have proven problem-solving skills. · Ability to work with multiple complex issues simultaneously. Ability to apply logical thinking to a wide range of intellectual, analytical, and complex problems. Ability to recommend and implement long and short range goals for the organization, taking into consideration the mission of the organization. Ability to relate to people at all levels of the organization. Ability to effectively present complex information to managers and staff. Ability to empower staff to the highest level of quality and commitment to the organization. Ability and familiarity with changing and maintaining an organizational culture which is client and Associate focused. Must be able to model and lead others in a caring and fair manner. Keeps building, offices, and shop in clean and orderly condition by performing the following duties. Actively demonstrates compliance to ISO 9001 & AS9100, Quality System requirements in day to day operations. Operates lift truck or pallet jack to move, convey, or hoist material in work area. Able to operate power hand tools, cutting tools, and crane. Changes tools on powered equipment. Able to understand types of finishes, read tape measure, assemble parts and perform general plant/facility cleaning. Cleans, deburrs, polishes, or grinds items, files and deburrs parts, with wire brush, or buffing cloth. Holds part against buffing or grinding wheel. Mounts part on revolving spindle or chuck and holds or moves tools such as file, abrasive stone, or cloth against work-piece to file, grind, polish, or buff surface. Cleans interior surfaces of holes. Applies abrasive compound, wax, or other dressing to facilitate cleaning or polishing operation. Loads and unloads materials, parts, or products onto or from pallets, skids, conveyors, or trucks. Delivers metal parts or stock to designated work areas for machining. Lifts metal part or stock onto machine and secures it on machine table, in chuck, or holding fixture to assist in setting up machine. Adds coolant to reservoirs of machines and lubricates machine parts and ways. Reclaims cutting and lubricating oils from machines by pumping oil from machine reservoir into barrel. Removes metal chips and shavings from surfaces of machines and wipes surfaces of machines to remove excess oil. Separates metal shavings, chips, and scrap materials from trash and places them in bins for disposal. Files and removes burrs or excess metal from machined parts and can etch or stamp. Pro-actively contributes to company's overall mission and quality policy through teamwork, communication and organizational processes. Cleans offices, hallways, lobbies, lounges, rest rooms, corridors, and locker rooms and other work areas. Sweeps, mops, scrubs, waxes, polishes, and vacuums floors, hallways, and office space. Maintains building, performing minor and routine painting, plumbing, electrical wiring, and other related maintenance activities. Cleans snow and debris from sidewalk. Mows lawn, trims shrubbery, and cultivates flowers. Sets up tables and chairs in lunch room if needed. Ability to read and comprehend simple instructions, correspondence and memos. Moderate to heavy physical effort 95% of the work day. Must be able to stand and walk long distances up to 8 hours per day. Must be able to stoop and work from a kneeling position, perform repetitive bending, reaching and stretching. Must be able to lift and carry up to 30 lbs. -50lbs. independently. Must be able to push and/or pull wheeled carts and equipment weighing up to 100 lbs. over tiled and carpeted surfaces over long distances. Must be able to operate a vacuum, work in confined spaces around furniture and breakable objects, and have constant contact with Associates. May be exposed to unpleasant odors, high heat levels, and institutional cleaning chemicals. While performing the duties of this job, the Associate is frequently exposed to moving mechanical parts, fumes or airborne particles, and toxic or caustic chemicals. The Associate is occasionally exposed to wet and/or humid conditions; high, precarious places; outside weather conditions; and risk of electrical shock. The noise level in the work environment is usually loud. Operates multi-axis computer numerical controlled (CNC) machine tools (CNC Lathes and/or Mills, waterjet, lasers) and machine centers to machine parts to specification. Benches, cleans and inspects machined parts. · Reviews and verifies set-up procedures, process sheet instructions, routers and inspection procedures to determine dimensions and tolerances of finished work piece, sequence of operations and set-up requirements. · Sets-up CNC machine center for “next piece” production machining. · Operates CNC machine tools. · Measures, marks and scribes dimensions and reference points on material or work piece as guides for subsequent machining and/or inspection. · Selects, aligns and secures holding fixtures, cutting tools, attachments, accessories and materials on machine tools. · Calculates and sets controls to regulate machining factors such as speed, feed, coolant flow and depth and angle of cut, or enters commands to retrieve, input or edit computerized machine control media. · Observes and monitors machine operation to detect malfunctions or out-of-tolerance machining and adjusts machine controls or control media as required. · Lays-out and verifies or inspects conformance of finished work piece to specifications with visual checks and/or with the use of mechanical measuring equipment, tools or gauges. · Assists with the set-up and operates machine with “first piece” to verify accuracy of machine settings, tools and/or program control data. · Fits and assembles parts into complete assembly. Verifies dimensions and alignment of assembly. · Confers with Supervisor, Shift Leads, Engineers, Production Control personnel, Process Technicians or others to resolve machining or assembly problems. · Identifies, segregates, tags and notifies supervisory personnel of defective material or non-conforming part. · Performs preventive maintenance (PM) checks before, during and after operations on machine centers. · Deburrs and polishes machined parts to specifications using rotary and vibrating hand tools. Conforms to and operates within the framework of all applicable SOPs, quality, safety and ISO procedures. Associate Degree in Machine Tool Technology or two-year certificate from college or technical school in related machining field; or three to five years of related experience in the set-up and operation of multi-axis CNC machine tools; or an equivalent combination of education and experience. Must be US citizen. · Language Skills. Ability to read and interpret documents such as safety rules, operating, maintenance, process instructions, machine and mechanical tool schematics and blueprints, and procedure manuals. Ability to write routine reports and correspondence. · Mathematical Skills. Ability to add, subtract, multiply and divide in all units of measure using whole numbers, common fractions and decimals. Ability to apply mathematical concepts such as geometry and trigonometry. · Reasoning Ability. Ability to apply common sense understanding to carry out instructions provided in written, oral, diagram (blueprint or mechanical sketch) and schedule form. Ability to follow verbal and written procedures and machining process instructions. Ability to follow safety rules and procedures. Sets-up and operates multi-axis computer numerical controlled (CNC) machine tools (CNC Lathes and/or Mills and machine centers to machine parts to specification. Benches, cleans and inspects machined parts. · Operates CNC vertical or horizontal lathes and/or mills. · Selects, aligns and secures holding fixtures, cutting tools, attachments, accessories and materials on machine tools such as mills, lathes, jig borers and grinders. · Observes and monitors machine operation to detect malfunctions or out-of tolerance machining, and adjusts machine controls or control media as required. The position is responsible for performing highly diversified duties to install, troubleshoot, repair and maintain production and facility equipment according to safety, predictive and productive maintenance systems and processes to support the achievement of the site’s business goals and objectives. Installation of, repairs to, and maintenance of water jet machinery and mechanical equipment such as intensifiers, engines, motors, pneumatic tools, and production and equipment ensuring LAI effectively and efficiently meets all contract requirements for on-time delivery. · Provides emergency/unscheduled repairs of production equipment during production. · Prepares and sets up machinery for scheduled production runs. · Perform regular preventive maintenance on machines, equipment and plant facilities. · Performs mechanic skills including, but not limited to, mechanical, electrical, pneumatic and hydraulic troubleshooting and repair of production machines. · Reads and interprets equipment manuals and work orders to perform required maintenance and service. · Perform simple machinist duties and responsibilities. · Use a variety of hand and power tools, electric meters and material handling equipment in performing duties. · Detect faulty operations, defective material and report those and any unusual situations to proper supervision. · Comply with safety regulations and maintain clean and orderly work areas. · Perform a variety of plumbing maintenance and carpentry functions within the plant. · Perform all other duties as assigned or needed. · Requires a high school diploma/GED and completion of a craft apprenticeship, or an equivalent number of years of education and production maintenance experience. · An AA degree in mechanical, electrical, or industrial maintenance a plus. · Minimum of five years of manufacturing experience; strong hydraulic, pneumatic, mechanical and industrial skills. · Must be highly motivated and able to work independently. Ability to analyze and interpret complex documents. Ability to work with multiple complex issues simultaneously. Ability to apply logical thinking to a wide range of complex problems. Drain or pipe cleaning equipment – Drain augers, drain cleaning cables, hand spinners, power drain cleaners. Hammers – Ball peen, claw dead blow sledge. Pipe or tube cutters – Copper cutters, pvc, soil pipe and tubing. Power saws – Circular, radial reciprocating and tile. Pullers – Bering, chain comealongs tub drain. While performing the duties of this job, the Associate is regularly required to use hands to finger, handle, or feel; reach with hands and arms; and talk or hear. The Associate frequently is required to stand, walk, and climb or balance. The Associate is occasionally required to stoop, kneel, crouch, or crawl. The Associate must regularly lift and/or move up to 25 pounds and occasionally lift and/or move up to 100 pounds. Specific vision abilities required by this job include close vision, distance vision, color vision, peripheral vision, depth perception, and ability to adjust focus. Actively demonstrates compliance to ISO 9001 and AS 9100, Quality System requirements in day to day operations. Directing interface with suppliers of materials, equipment, and services. Contributing to cost estimating of existing jobs to determine opportunities for cost improvement. Contributing to cost estimates to be used in the pursuit of new business. Working with equipment manufacturers and maintenance to achieve optimum performance and lifetime of manufacturing equipment. Developing and implement data collection and process controls to be used on the manufacturing floor.Contributing to the creation of process documentation and work instructions to be used in manufacturing. Designing and conducting experiments for problem-solving, new process development, and new product creation. BS degree in Mechanical, Industrial, or Manufacturing Engineering preferred. Six Sigma Black Belt certification, desirable. At least five years experience in a precision machining environment required. Use of Six Sigma Green/Black Belt statistical methods such as DOE, SPC, and FMEA. CNC programming with G and M codes. G.D. & T./ Quality systems. Use of CNC motion systems. Use of waterjet, laser and other cutting and fabrication equipment. Experience with non-traditional machining processes including LASER and EDM is highly desirable. Experience with fabrication processes including welding and brazing is highly desirable. Integrates suppliers into LAI processes and champions the integration of Lean Six Sigma into supplier activity using PPAP process and LAI ADP to enable the lowest total cost supplier. Drives supplier data driven decisions through the application of problems solving tools, statistics and DOEs. Interfaces with all functions with suppliers and within the LAI organization and customers. Reviews defective and nonconforming materials and coordinates, documents and communicates corrective actions. Collaborate with customers regarding quality requirements during contract review and flow down requirements to suppliers. Develop and documents standards and methods for inspection, testing and evaluation. Incoming Inspection, special process certification and supplier monitoring. Utilize LAI ERP and quality system for MRB activities, tracking and mentoring fellow Associates in effective root cause and corrective action. Flowing down AIAG and customer PPAP documents and requirements. Perform qualifying and ongoing supplier audits. Supplier development, approval, and monitoring. Implement and monitor supplier report cards and reviews. Implement supplier certification and dock to stock methods with data surveillance. Embrace lean methodologies of standard work, mistake-proofing, and many other tools. Champion data drive methodologies to non-performing suppliers in Lean and Six Sigma. May perform Site representative activities. Previous supplier certification, data drive process, and Dock to Stock implementation. Preferred Bachelor of Science in Engineering. Ability to effectively lead teams though the use Root Cause Analysis and corrective actions using 8D, DMAIC, and other tools. Lean Six Sigma experience in fundamental tools for data driven solutions. Ability to utilize geometric tolerances, statistical process control required. Skills to analyze data to identify top issues using standard problem solving tools and statistics. TRAVEL - Extensive travel is required to support suppliers. TOOLS AND EQUIPMENT USED - Computers, various software programs, Excel file, databases, and Manufacturing MT&E (Measurement & Test Equipment). Able and willing to drive and willing to travel by air, to other LAI sites, customers, etc. as needed.